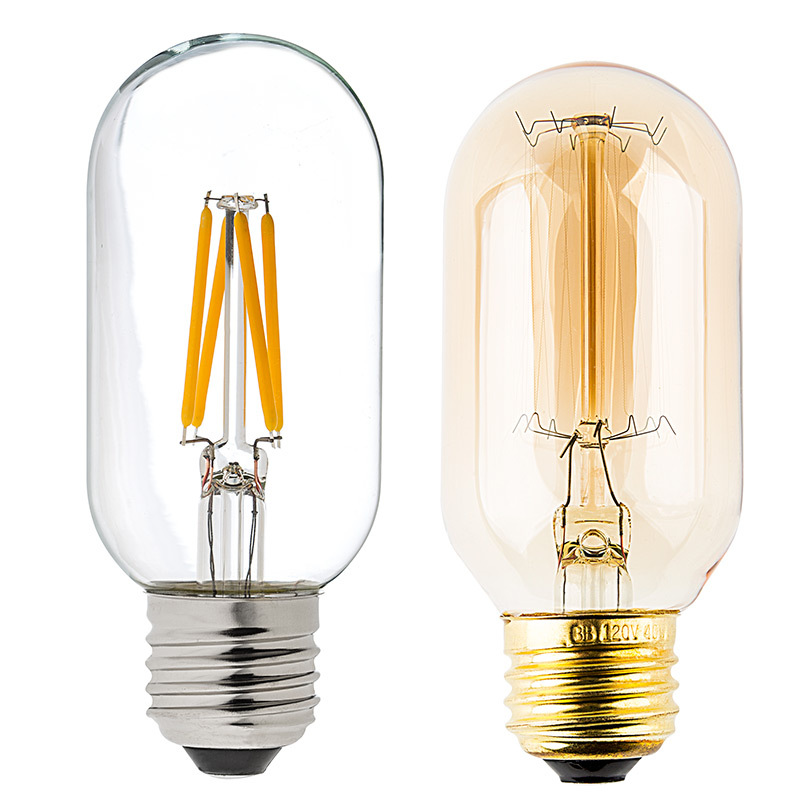 LED Vintage Light Bulb - T14 Shape - Radio Style LED Bulb with Filament LED: On Showing Beam Pattern And Comparison Between Warm White (Right) and Ultra Warm White (Left) At Full Brightness. 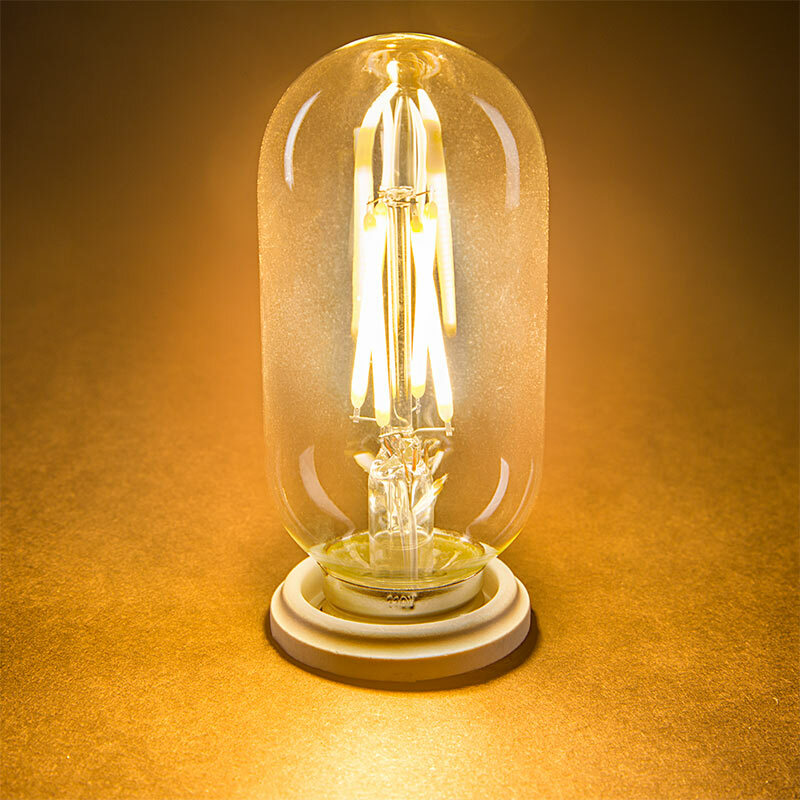 LED Vintage Light Bulb - T14 Shape - Radio Style LED Bulb with Filament LED: Shown Installed In Mason Jar Fixtures And On. 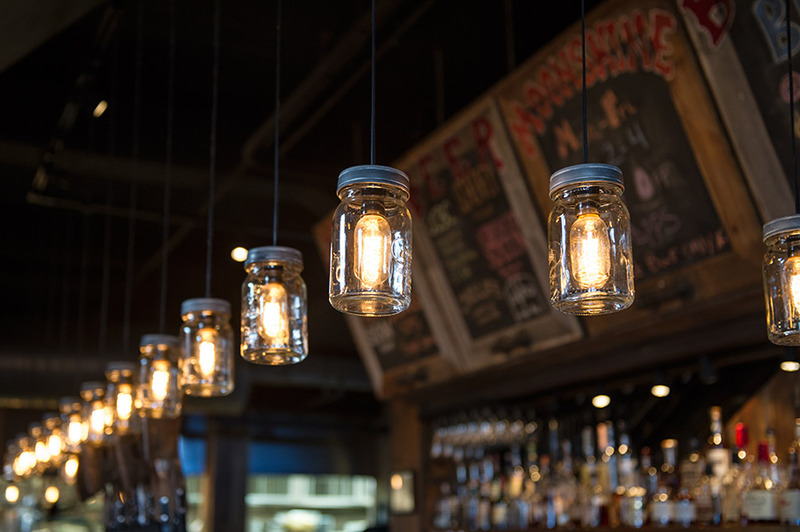 LED Vintage Light Bulb - T14 Shape - Radio Style LED Bulb with Filament LED: Showing Bulbs Installed In Mason Jar Light Pendants. 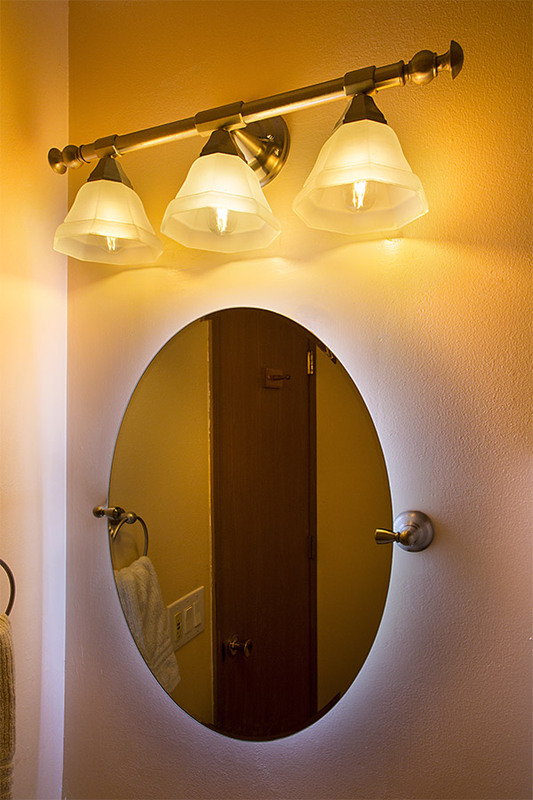 LED Vintage Light Bulb - T14 Shape - Radio Style LED Bulb with Filament LED: Shown On And Installed In Hanging Pendant Lights. 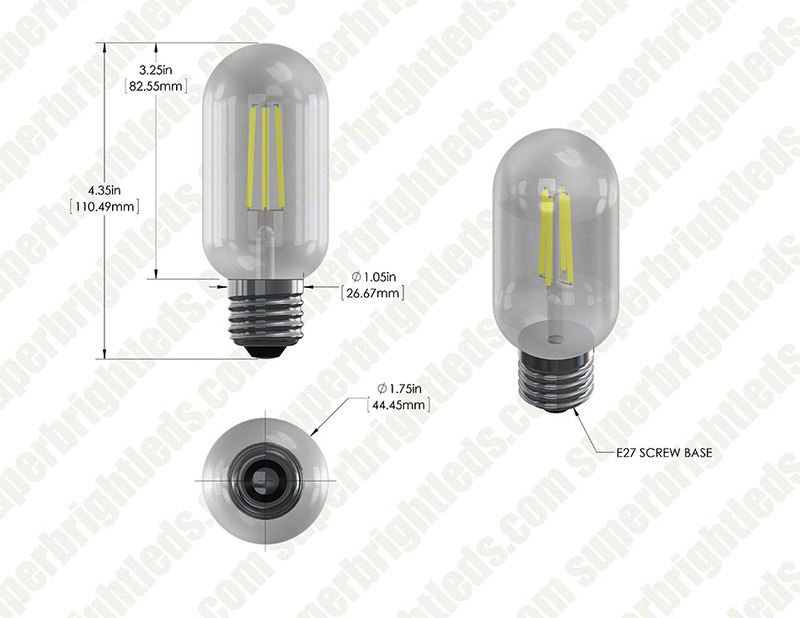 This household LED filament bulb is perfect for chandeliers, ornamental lights, commercial light strings, decorative light strands, or for any decorative application that accepts T14 LED bulb types with E26/E27 bases. 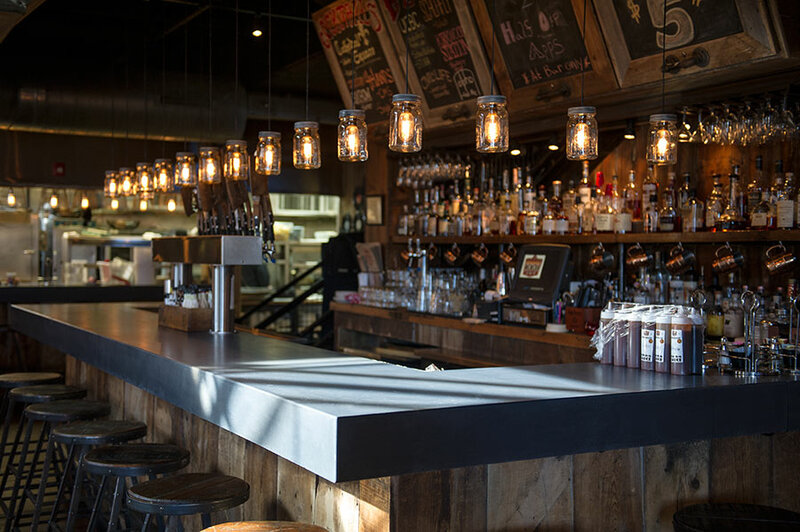 The dimmable T14 bulb has linear LEDs that imitate the look of thin filament wire in antique-style bulbs. 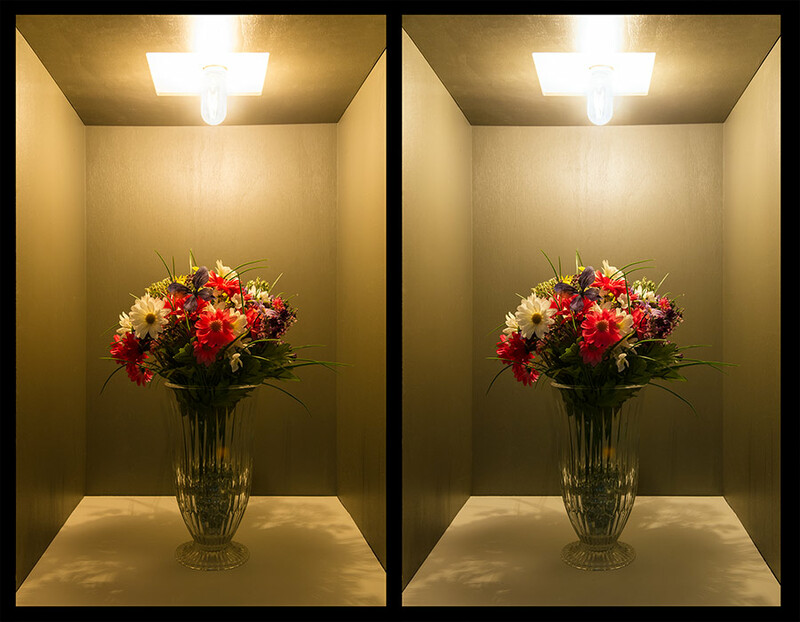 COB (chips-on-board) LEDs emit up to 350 lumens of warm white or ultra warm white illumination. 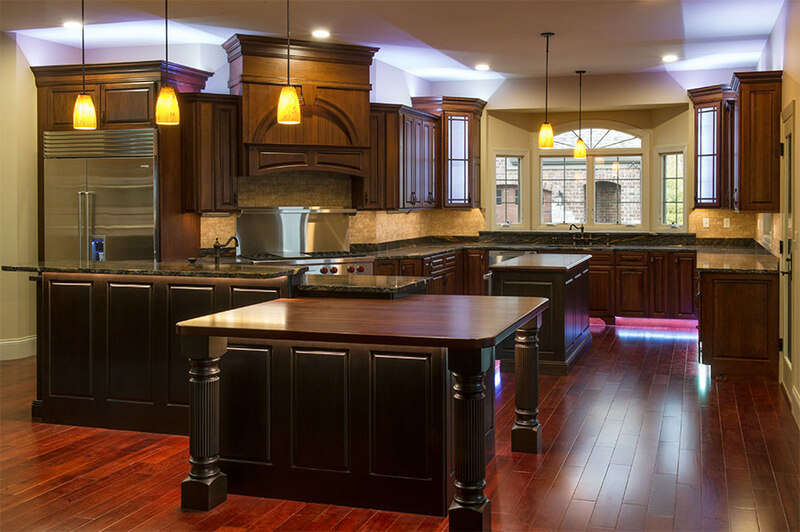 The energy-efficient bulb uses no more than 3.8 watts of power; an incandescent bulb with comparable light output would consume 40 watts. 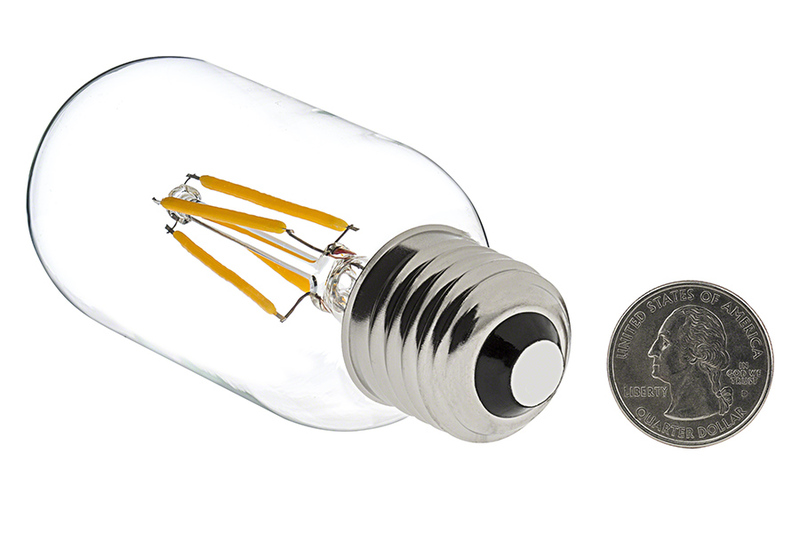 This bulb operates within a wide 90-145 VAC range and is designed to last 25 times longer than incandescent bulbs. Price per bulb. 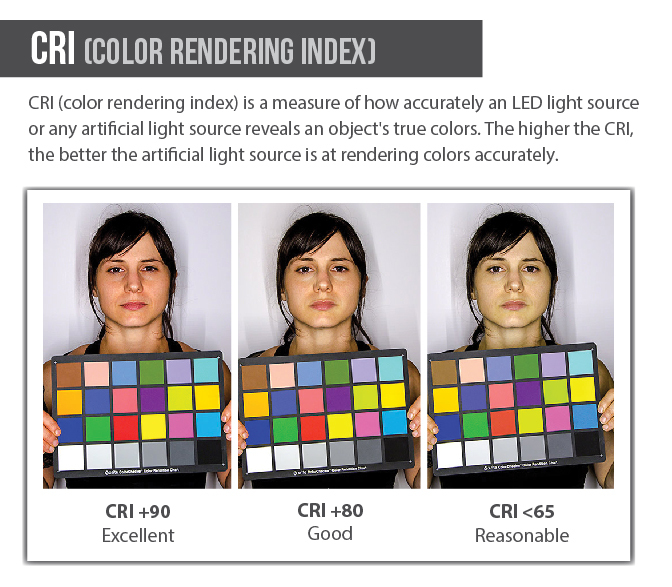 I bought one bulb (2700K) to evaluate the technology, and am quite happy with it. It is quite bright. I would say it is 50-60 w equiv. I was afraid the filament would look unnaturally wide. You don't really see the width of the filament as it is so bright, your eyes can't focus on it. It is also whiter than I think it should be. Next time I will buy the yellow version (2200K). I am assuming it will be more like the antique Edison carbon lamp that it is trying to emulate. I was also curious about how the filament was constructed. I was worried that I would be able to see each individual LED. I was not until I looked at it carefully with a magnifying glass. The LEDs are extremely close together under the yellow phosphor coating. Very nice. As advertised. I use it inside a hutch cabinet. Old illumination kept burning out about every 6 months. I am sure it was heat related. One bulb was damaged during shipment. Two of the led's broke off. Superbright replaced it and paid for shipping by including shipping label. I bought these to replace the traditional version and discovered that these are almost too bright. Unless they are dimmed you can't really see the filament doing the work. 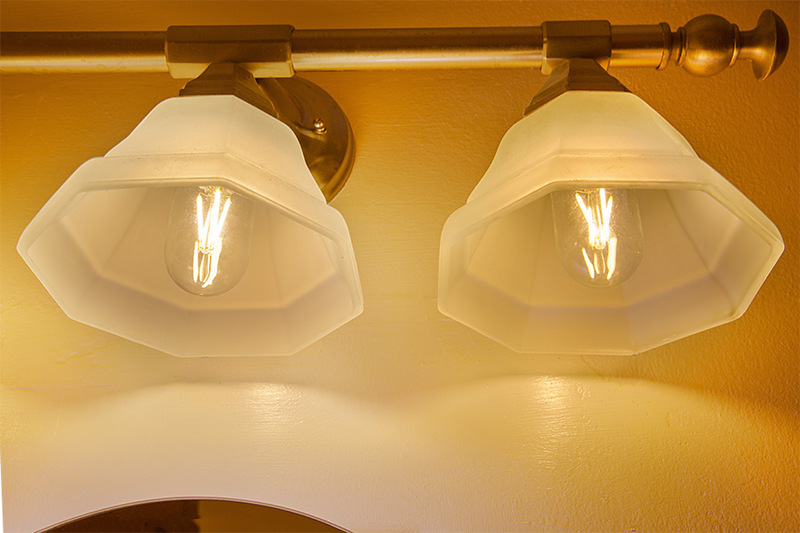 Which is great news for LED bulbs, but you miss the antique look. Good thing they are on a dimmer. And the color is much whiter than I was looking for, glad that I got the warm white, more yellow would have been good. This is exactly as it is described. 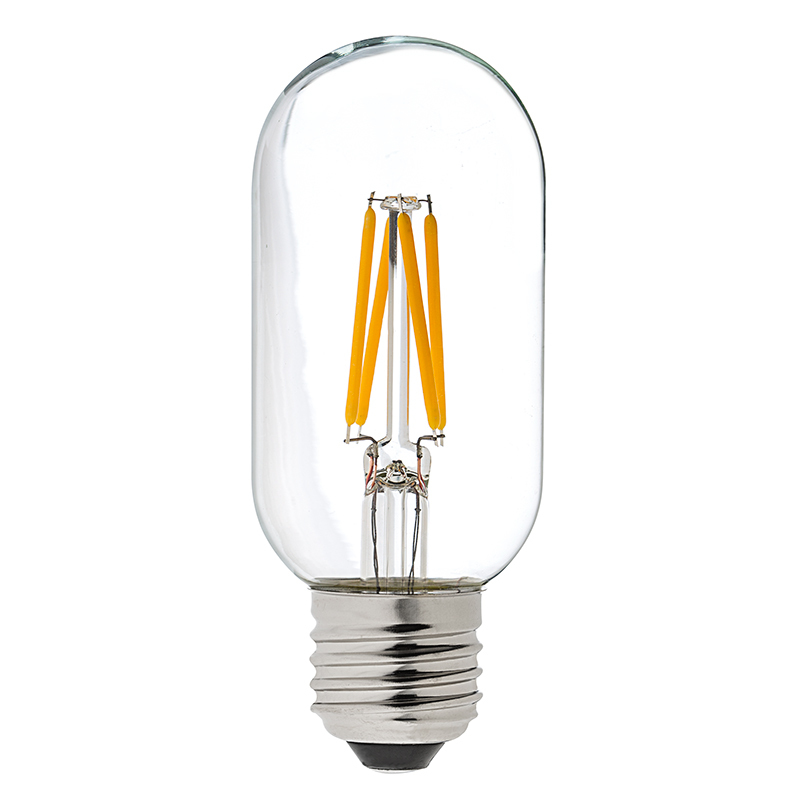 Everyone who sees them swears they are old fashioned filament bulbs. Bought 4 as a sample for lighting my house outside, and some in. If the test works, I expect to order about 60-80 lamps. I also bought two of the gold tinted 8 watt units for the front door. The look great and add great warmth to the entry. I measured the color temperature with my monochrometer and the peak temp is nearer to 3,000 Kelvin. Would really like 2,700 K.